Ashok Kumar is an enthusiastic sportsman and writer. He did his schooling from a village Govt. school. After that he did B Tech and M Tech from IIT Delhi. 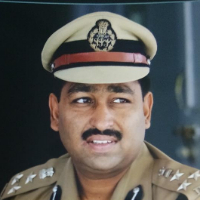 He joined the IPS in 1989. During his career he was part of a UN mission and the BSF. Indian Police Services or IPS is a service which controls crime and maintains law and order and ensures the safety and security of citizens and manage traffic. "After completing my education I joined the IPS in 1989."